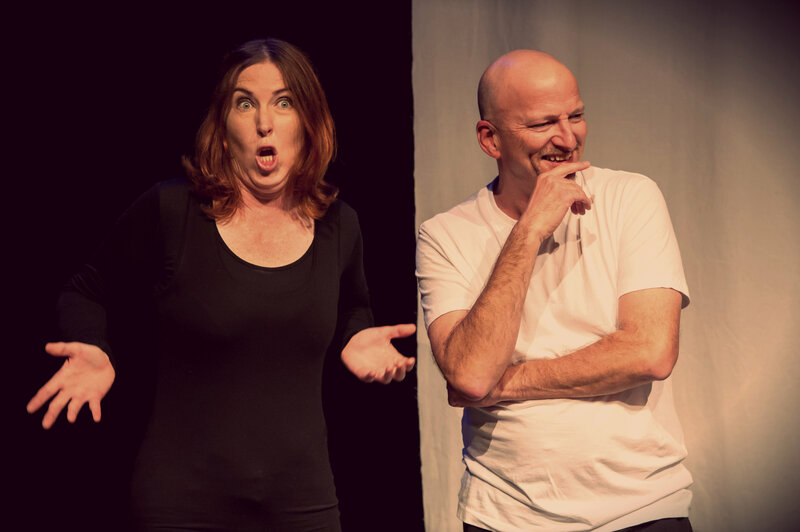 Award winning original theatre production performed in both New Zealand Sign Language and spoken English. 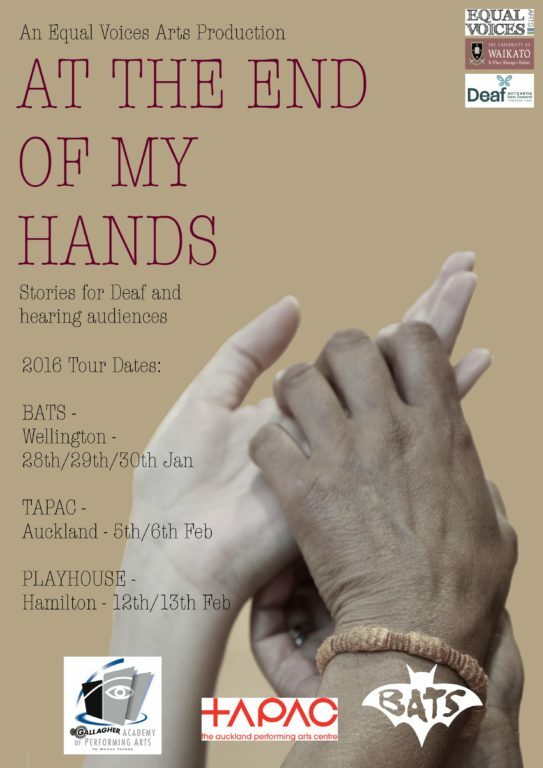 This physically bold piece of original theatre explores stories about Deaf culture, communication and the unique history of Sign Language in New Zealand. 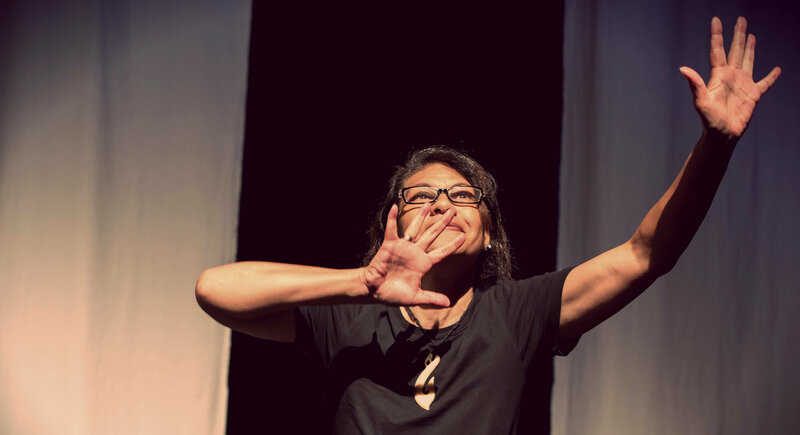 This ‘beautifully staged and heartfelt’ piece (Theatreview, 2015) places both English and New Zealand Sign Language (NZSL) on stage with equal priority. 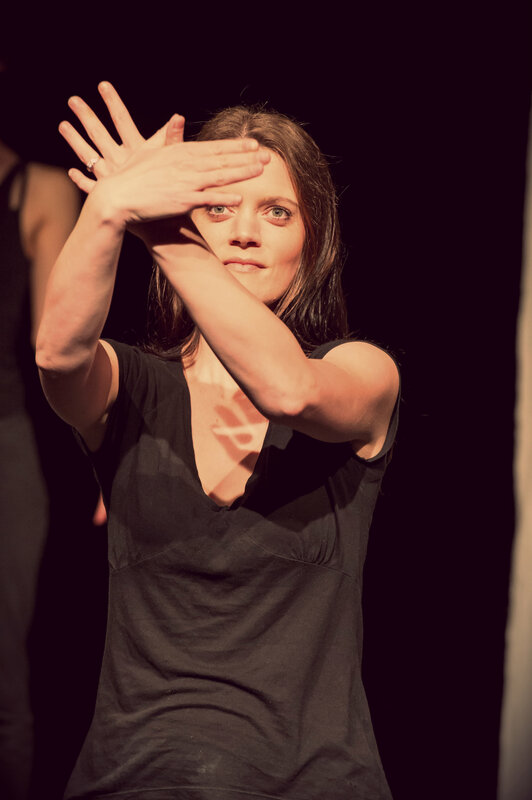 The piece is performed with no formal interpretation between languages, and inspired by the possibilities, the performers have created a rich, live theatre experience accessible to both Deaf and hearing audiences. 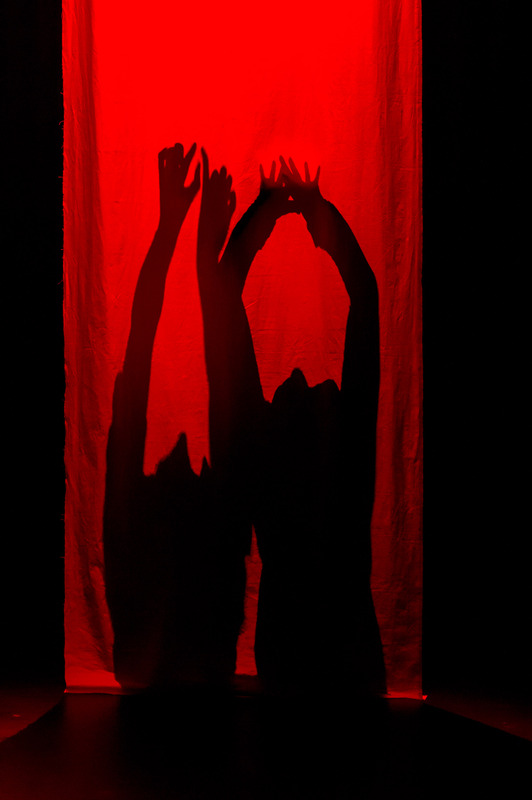 Development of this piece was supported by the University of Waikato. 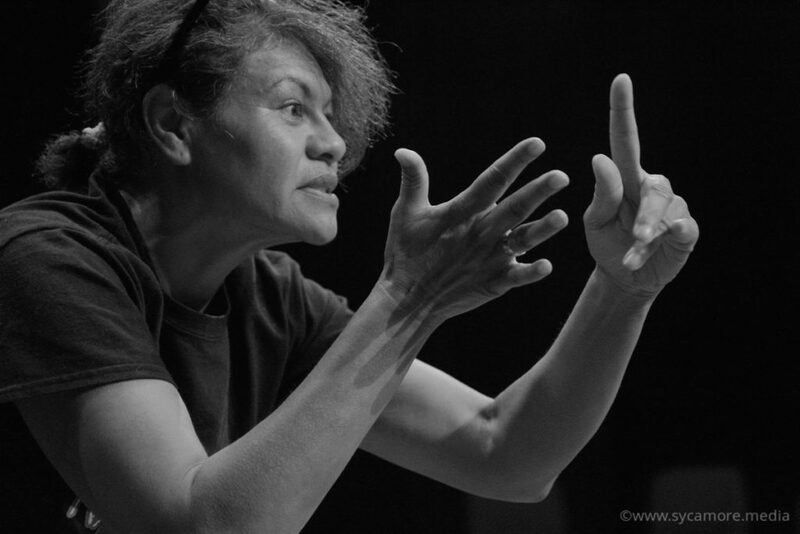 Our tour was made possible by the support of the NZSL Fund. Playhouse Theatre, Hamilton May 2015. The Playhouse, Hamilton, Feb 2016. 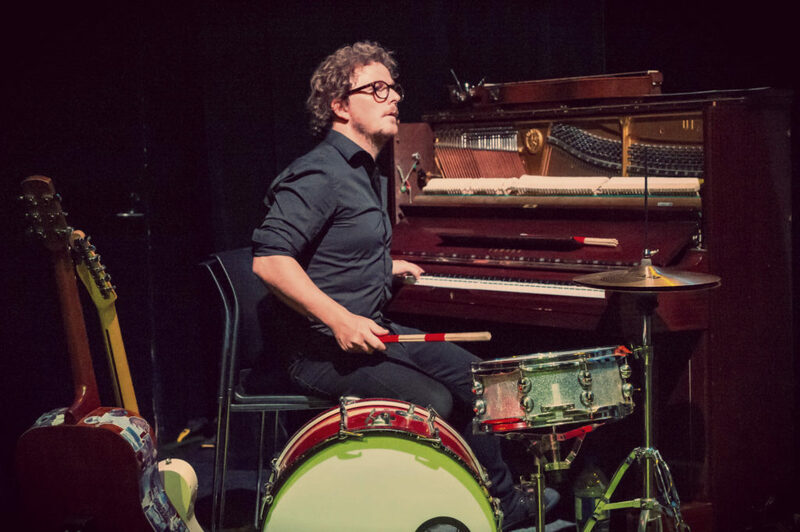 Gloucester Room, Isaac Theatre Royal, Christchurch, July 2016. Edited version for the NZSL Awards Ceremony, Te Papa, Wellington, May 2016.